In business establishments where information flow and uninterrupted data drive business operations, the IT environment must be robust, secure, stable and reliable. The communications infrastructure is required to demonstrate unchallenged performance and must be planned for future scalability. For this very reason, many corporations today are relying on a network cabling/structured cabling in Dallas that will form the backbone of their business telecommunications infrastructure. We have successfully set up several projects of the voice, security and data cabling in Dallas, Houston, Sherman, Austin, Greenville, Princeton, Gilbert, Trophy Club and many more Cities. For business establishments where data drives business operations, the IT infrastructure must be robust, secure, stable and reliable. Category 5 Enhanced (Cat 5e) is the newer and enhanced version of its predecessor Cat 5. Cat 5e is an economical solution for businesses operating in short term lease office spaces to cut down costs of running a more expensive cable type. To optimize the network performance running on Cat5e, this implementation is appropriate when the distance between the networking points is up to 300 feet and with bandwidth speeds of up to 1 Gbps. Cat5e supports Unshielded Twisted Pair (UTP) and Shielded Twisted Pair (STP). Depending on the industry and building environment, one may be preferential over the other. Office spaces on shorter lease terms, to bring the cost of installation down. 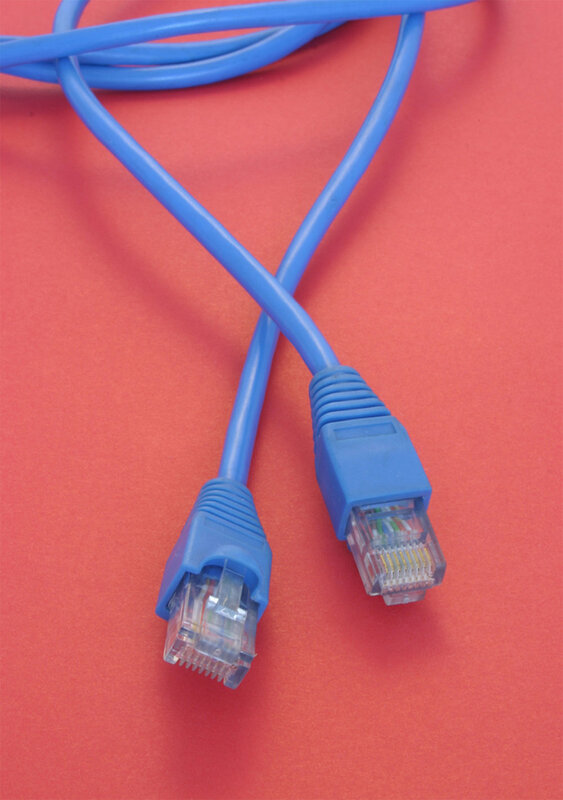 The twisted-pair Cat5e supports both analog and VOIP Phone systems. If you have plans in the future to upgrade your analog phone system to VOIP, Cat 5e helps to ensure that your network is better future-proofed. IP camera systems of an appropriate resolution that fits in with your bandwidth speeds and other networked devices. We have knowledge and experience in working in the greater Dallas metropolitan area and as such, are familiar with municipal building codes. When you work with Ighty Support, you can rest assured that the job will be completed efficiently and within regulations. We are equipped to assist with issues like this and more so that your cabling job will provide the best value to you and your business. A “future-proof” cabling standard that offers higher bandwidth and performance over Cat5e, Cat 6 is excellent for businesses that heavily rely on technology for their day to day operations. As a higher standard, Cat 6 offers the scalability necessary to support your IT ecosystem today and into the future. Cat 6 is packed slightly tighter than its predecessor, thereby preventing signal transmission losses, cross-talk interference, and other network errors. Cat 6 is designed to perform at frequencies up to 250 MHz and at bandwidths of up to 10Gbps. Businesses with a larger number of concurrent onsite and remote users. Offices with several network connected devices. Situations there is a need for continuous data uploads/downloads. Offices where multimedia files are regularly shared. Environments in which server and workstations backups need to run on a recurring basis. Fail safe servers running proprietary in-house applications. High speed internet up to 10Gbps. Cat6a data cabling is the latest UTP standard recognized by the Telecommunications Industry Association. Cat 6a is an augmented form of Cat6 and is rated to perform at longer distances and at double the frequency. Cat6a is useful in larger scale applications where fast data transmissions over longer distances with minimal cross-talk interference is a must. Contact us to find out if your IT network is a candidate for Cat6a cabling and to find out more information on what advantages it presents to you and your business. Whether it’s adding an additional line or setting up a new phone system, we are able to help. Discuss your business communications needs with us today and we can recommend and implement a system that meets your requirements! As part of the turnkey solutions we offer to businesses, we also offer installation of audio systems. Sounds systems allow your business to play ambient music, present office wide announcements, or add an extra dimension to things such as theater and telecommunications rooms. We specialize in a variety of speakers and will work to pair you with a style and brand that best fits your business and use case. Wall mounted speakers, in-ceiling speakers, suspended speakers, subwoofers, etc. AV receivers, amplifiers, mixers, etc. Different cabling standards (speaker wire, optical, HDMI, RCA, etc.). A variety of brands (Bose, JBL, Klipsch, etc.). Whatever your requirements are, we can implement it for you. We have experience in working with a variety of industries and are equipped to setup a system that will give you business that extra edge. Optical audio cabling offers higher definition audio. Based on the business type and use case, the use of optical cabling will be needed. We work carefully with business owners and managers in order to survey the site and plan on what technologies and solutions will best fit your needs. Setting up TVs to connect to provider set-top boxes. Moving a cable modem to a different area of the office. Setting up DVRs and analog cameras. Replacing existing cables that have degraded over time. Our cables are always professionally installed and labelled, tested and neatly dressed. Contact us to learn more! A now common audio and video cable, High-Definition Multimedia Interface (HDMI) has simplified cable management. HDMI is used as a replacement to a standalone audio and video cables by combining what used to be separate cables and signals into one. HDMI also offers superior sound & video quality with decreased signal loss between input and output points. Office rooms to project your computer screens for meetings and presentations. Media rooms/conference rooms, for projectors and telecommunications devices. Large display TVs in lobbies to play company marketing materials. Live streaming of security cameras. Wirelessly streaming video content from your devices to your TV. Complete multimedia room setup. – Cabling & installation of Projectors, projectors and projector screens, speakers & sound systems, voice distribution systems and TV displays. If you are a tech-savvy business and are on the go, our smart solutions and services like structured cabling in Dallas will meet or even exceed your business needs.